It's definitely more than a good feeling that The Heightsmen are dishing out in this rip-rocking medley! 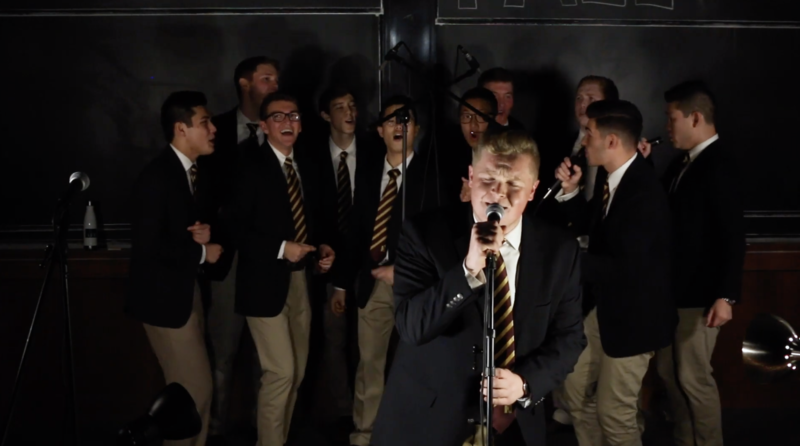 The all-male a cappella group from Boston College will have you reminiscing about walkmans and VHS tapes as they deliver incredible vocals with their "80's Medley." The group tackles all your favorite hits with such featured artists as Toto, Michael Jackson, Boston, Paul Simon, Bon Jovi and many more crowd favorites. The vocal band has weaved together an incredible arrangement that gives you highlights of some of the best tracks ever to grace a radio. What's impressive is how The Heightsmen seamlessly transition between each song without skipping a beat. Even more impressive is how each member of the group gets a moment in front of the lead mic. There are moments of comedy, inspiration and stunning vocal feats. All in all, it's a spectacular performance that will satisfy no matter what decade you were born in. Check it out below.